The Collectors Club boasts one of the most important philatelic libraries anywhere in the world. Beyond housing some of the very rare pieces in philatelic literature, it is very much a “working” library. Members and visitors can research or browse through thousands of philatelic publications, comprehensive groups of historical periodicals and extensive runs of priced auction catalogues. The Collectors Club maintains a library of approximately 150,000 volumes for the free use of the interested public. Scholars and historians have free access and use of the library and are referred to the library by the New York Public Library, educational institutions and philatelic groups throughout the world. The library collection is so large that its physical size was one of the key motivators for our renovation of the Clubhouse in 2000. The books and pamphlets currently in the Library’s Main Room can be searched using the Philatelic Union Catalog hosted by the American Philatelic Research Library (APRL). (Select “CCNY” from the “All Libraries and Indexes” drop-down selection list on the right side of the Catalog Search page. See the location of the red arrow in the image to the right.) As the Library committee updates and verifies our holdings, additional sections of our catalog holdings will be incorporated into the APRL’s Online Catalog. Waghorn & Co.’s Overland Guide to India, first edition, published in 1842 – When Bruce Marsden, The Collectors Club Library Chair, first came across Waghorn & Co.’s Overland Guide to India in the Collectors Club Library, he was surprised that the our Library would be holding such an early travel guide. Subsequent study revealed the philatelic connection as it was Thomas Waghorn’s enterprise that first shortened the time it took for mail to pass from England to India by routing it across Egypt from Alexandria to Suez. Previously, mail between England and India traveled the longer sea route around the Cape of Good Hope at the southernmost tip of Africa. Click on the link above to view our first edition printing of Waghorn & Co.’s Overland Guide to India. The cataloging notes indicate that this volume may be unique. It is presented on the Collectors Club website as a supplemental resource to the Bodleian Library’s second edition (1846) which is available on Google Books. The library is open during normal Club hours, Monday through Friday from 10AM to 5PM. The library rooms will not be open when the clubhouse is open for philatelic society evening meetings on the second floor. On scheduled program meeting evenings, however, the library will remain open until 6PM. Please note that library volunteers are usually at the Club on Wednesdays. Access to the rarity section is by appointment only and requires the presence of one of the library assistants. Members not observing library rules or for other proper cause, may be denied further privileges of the library. Books and pamphlets are in the cabinets in the first floor Main Library, filed by country. United States material is currently being arranged by subject category, thereafter by author, or publisher, in alphabetical order. Non-U.S. material is currently arranged by country in alphabetical order and thereafter by author, or publisher. As this is the main reading room of the library, users will also find here a topical section, principal reference works, audio/video files, and recently received books, periodicals, and auction catalogues. View a list of the recent periodicals available for browsing in the main library cabinets on the 1st floor. All of the serial publications are now filed by title in alphabetical order on rolling shelves and in file cabinets in the basement. Auction catalogues are housed on the third floor of our building. The following rules of operation of the library are implemented to facilitate efficient use and care of library materials, and to achieve a better understanding of how the library is being used. We are in the process of updating the library database, which will be available on the clubhouse computer facility, and thereafter accessible on the internet via the Collectors Club website. All members and non-members using the Library are required to register their names in the book provided for that purpose. The sign-in register is located on the front table of the Main Library. Members and guests are asked to sign-in with the following information: Date, Name, Reading/Research area of interest. All books and pamphlets taken from the shelves should not be returned to the shelves; it is hoped that we can reduce misfiling after use, if material is placed in the “Return Books Here Bin” located near the reference section. Library volunteers will return material to the shelves. Neither drinks nor food is permitted in any sections of the library. Members who observe a defect (loose plates, missing pages, improperly collated serials, etc.) of damage to any library material are requested to bring it to the attention of a library volunteer or the Club office. The Library Cases must be kept locked at all times, when a library volunteer is not in attendance. Material filed in the Rarities Room may be consulted by members under the supervision of a library volunteer, but such items cannot be taken from the reading room or on loan. No more than one item from this section may be used at any one time. Only Members may borrow non-reference material from the Main Library (only) for a maximum period of 30 days. Periodicals and Catalogs may not be removed from the Library. Member borrowers are required to complete a Loan Form, available from the Club office. Borrowed material may be returned in person or by mail, using “Signature Confirmation.” Material borrowed from the Library, either in person or through the mail must be returned within 30 days. If there are no outstanding requests for the material, an additional 30 days of extension may be granted by the Club office. Requests for renewals may be made in person, by phone, or by mail and will be acknowledged. Extensive photocopies/research requests. After the initial 15 minutes included in the base fee, a $20 per hour fee is charged, which is billed in half-hour increments. If it is anticipated that a request will require additional time (long photocopy requests, etc.) the requester will be notified by e-mail whenever possible. The following is an extract from “The Collectors Club Library” by Miklos Pinther. In July of 1896, a group of prominent New York philatelists got together to discuss the creation of a club, a meeting that was later described as “inspirational” by John N. Luff, one of the participants. The idea was to bring together and create a home for all philatelic interests in the City. An organization committee was set up under the chairmanship of John Walter Scott, members were recruited, funds were secured, and by October a club house was acquired. The formal opening took place on October 28, 1896, just three months following that brainstorming session. Shortly thereafter officers were elected with William Herrick as the first President, and committees were formed including a Literary Committee headed up by Hiram E. Deats. Incorporated in the charter of the Club was the “maintenance of a reading room,” the cradle of a library. It was set up on the second floor of the new Club House which was located in an up-scale neighborhood within a block of Madison Square, near the location of the old Madison Square Garden. In short order, Deats and his fellow committee members began to fill up the shelves with books and pamphlets, periodicals and catalogues, and various related standard reference works. Some were donated by publishers and friends; others were purchased or subscribed to. By the time John W. Scott took over the librarianship in 1913, the Club indeed had a useful Library of close to a thousand volumes at the pleasure of its members. Scott also set out to fully classify and catalogue the collection for the first time, an effort that was picked up by Professor J. Brace Chittenden. It was under Chittenden’s tenure from 1921 to 1928 that the Club’s Library was most enriched by some of the finest literary collections. These included the personal library of Hofrath Victor Suppantschitsch, Chief Justice of the Supreme Court of Austria, many unique items from the library of John K. Tiffany, philatelic literature from E. B. Sterling, Theodore E. Steinway, and Señor Busch of Buenos Aires, and the extensive collection of some 1,400 bound volumes from Joseph S. Rich. Following Professor Chittenden’s good work, it fell upon Harry M. Knowiser to organize the now largely expanded Library. During the 1930s, he revised and produced an extensive card catalogue that served the readers for decades to come. 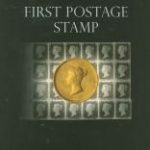 The collection by this time was generally recognized as not only the richest philatelic library in the United States, but arguably one of the finest in the world. In October 1937, The Collectors Club purchased a five-story building from the estate of Thomas B. Clark, a collector of fine arts. It was specially designed for him by the renowned architect Stanford White, a lovely structure that became a New York City landmark in 1979. Before moving in, internal remodeling was carried out under the direction of Clarence Brazer, an architect who was also a member of the Club. Some of the modifications addressed the Library’s needs that included an enlarged room, extra storage space, and special glass-door shelving units. In the ensuing years, volunteer “librarians” strived to maintain an order to the collection, sent out books (primarily periodicals) for binding, catalogued new acquisitions, and generally assisted users. They also struggled with a collection that was uprooted and moved several times during the forty years since its first home near Madison Square. In fact, before the Club finally settled in its permanent home at 22 East 35th Street, it was relocated half dozen times. As might be expected, this shuffling caused loss and damage to the holdings. There was also a constant change in librarians, each of whom made some alterations while seeking improvements. In most cases the librarians were part-time volunteers assisted by a few additional volunteers. Only on rare occasions did the Club actually hire a person on a full-time basis. While some of the volunteers were experts on philatelic literature, and were on the top of their various professions, none were trained, professional librarians. To be sure, committees were formed periodically to study the plight or status of the Library and to make recommendations. But satisfactory solutions to the problems of a finite space and an ever-growing collection were elusive. Cataloguing and filing systems remained an “evolving” process, not necessarily adhering to standard library practices. During the past decade, Robert L. Mitchell, Jr., a member for over fifty years whose father was also a member, began a major modernization of the holdings. No one in recent years was as familiar with the Library as Bob Mitchell. He made several assessments of the physical allocation of the collection, created lists and filing labels for special groups such as the auction catalogues, prepared cataloguing and filing rules, and migrated the card files into a quasi-data-base software called Tracker, used at one time by the American Philatelic Research Library as well. In 2001, the Club completed an extensive renovation to the building which included structural strengthening, major improvement to the main meeting room, and relocation of the principal library holdings to the lower floors. During this process over 1000 boxes of library material was removed to storage, then brought back and re-shelved. Needless to say, this was a monumental effort for just a handful of volunteers. While construction was a major disruption, it also provided the Club with an excellent opportunity to take a fresh look and reassess the way the holdings were arranged, catalogued, and filed, to create a more efficient “working” library where members could browse and do research. The mission of the Library remains the vision of the Club’s founders: it fosters philatelic scholarship by acquiring, organizing, and disseminating philatelic information and knowledge to members of the Club, the philatelic community at large, and the general public.